Planar is pleased to announce its second generation interactive LCD video wall, the Clarity® Matrix™ MultiTouch Video Wall System. 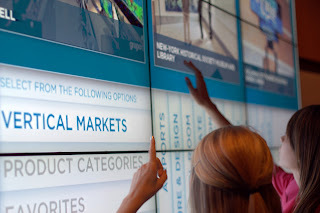 Planar’s Clarity Matrix MultiTouch utilizes a touch sensor frame around the edge of the video wall allowing multiple users to touch and use gestures to interact with content on the video wall. Clarity Matrix MultiTouch utilizes Planar's ERO™ (Extended Ruggedness and Optics™) technology to provide a modular, near seamless touch surface that protects the LCD screens. Clarity Matrix MultiTouch incorporates the latest touch technology to enable up to 32 touch points simultaneously across the video wall. 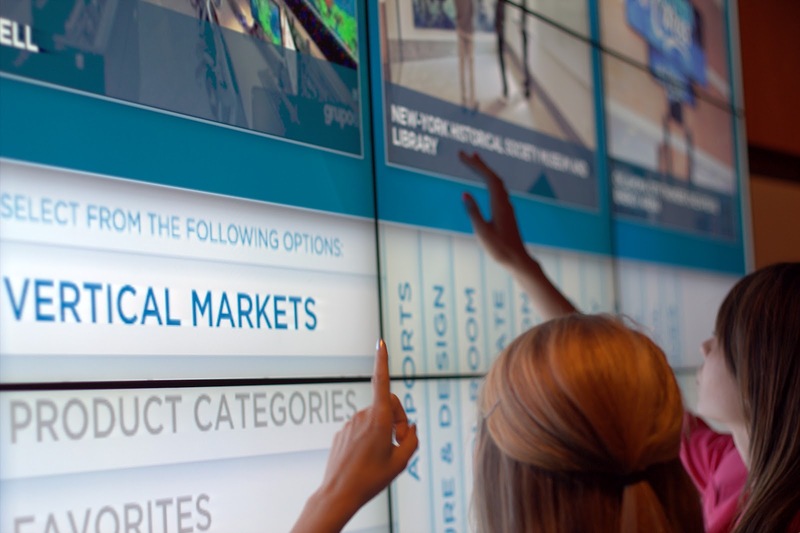 This allows multiple touches or common gesture recognition by a single user but allows for multiple people to interact with the video wall and not affect other users, making it the premier solution for customers looking to expand their collaboration capabilities in visualization or conference room applications.